Uniquely coloured lilac flowers produced early and in abundance. 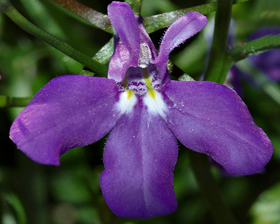 Bred for hanging baskets with larger flowers and broader foliage. Sow late winter to late spring at 18-24C on the surface of a good compost and gently firm down. Keep soil damp but not wet. Germination usually takes 14-21 days.